A step beyond a branded shopping bag is this Fendi Branded Purse Storage Bag at Saks. After the sale, Fendi places your prized purse in this branded cloth bag, then again inside a separate branded shopping carry for transport. At home your treasure is kept in pristine condition and dust and dirt free via the cloth bag. 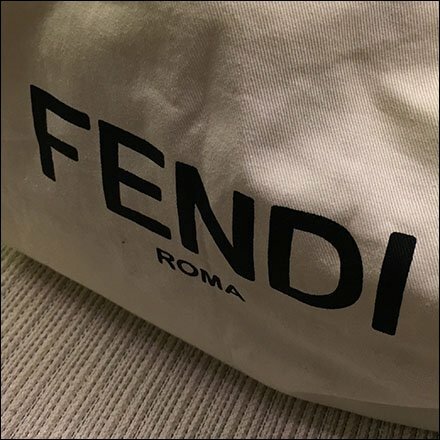 If you don’t get a Fendi Branded Purse Storage Bag with your purchase, ask for it. Or maybe you need to up the purchase price of your selection to merit the bag unrequested. This Fendi Branded Purse Storage Bag at Saks seen at King of Prussia Mall, Philadelphia.